Origami Mathematics- Many people already attempted to incorporate the idea of mathematics in Origami. and there are many different model who are already spread out all over the web. Some of the model was derived from Geometry. Humiaki Huzita was one of the pioneer in making origami out of mathematics concept he was able to formulate axioms and formulas to define origami geometrically. 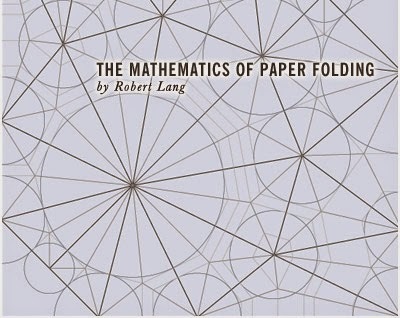 Another famous person in the history of math related origami is Robert Lang he is from California he develop an ingenious way of making the designs of origami using computer algorithm which results in amazing and complex design of origami.